Now Seeking Community Support via Kickstarter, This Mobile Game by PurposePlay will Leverage Culture & Technology like Never Before! 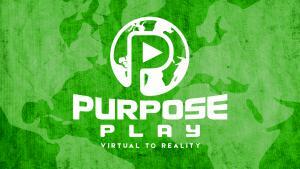 MADISON, INDIANA, UNITED STATES, June 12, 2018 /EINPresswire.com/ -- PurposePlay Inc. has proudly announced that it is introducing a one of a kind mobile game for the millions of mobile phone users worldwide. 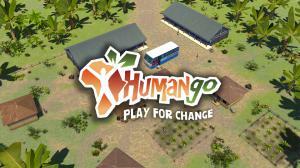 The game is called Humango and it will generate money that will go towards the development of sustainable communities worldwide. Moreover, the app is going to be highly recreational, educational, and inspirational for its players and it is creating a major buzz online. The creators of this remarkable gaming app have recently launched a crowdfunding campaign on Kickstarter with a goal to raise a sum of $375,000 and backers from around the world are encouraged to contribute. Supporters can choose from a wide range of pledges and each pledge offers a great reward. "Humango will simulate sustainable community development by utilizing advertisements and in-app purchase income to literally build sustainable communities." Said the spokesperson of Humango, while introducing this app to the Kickstarter community. The Kickstarter Campaign is located on the web at: www.kickstarter.com/projects/820668434/humango-is-a-mobile-game-that-has-real-world-effec and rewards are being offered with worldwide shipping. More details are available on the Kickstarter campaign page of the project. PurposePlay Inc. is an Indiana based American gaming company that has an aim to make the world a better place by bringing virtual to reality through simulation gameplay and social awareness. The company also aims to leverage culture and technology through its technologically sophisticated solutions and it has recently launched a crowdfunding campaign to raise funds and support for its remarkable new game called Humango. The game will benefit communities worldwide by raising funds through advertisements and in-app purchases and the gaming company is welcoming everyone to generously back this project on Kickstarter's fundraising platform.